Luxurious Natori Bedding for Your Bedroom! Natori bedding is the ultimate in elegance for your bedroom! If you want to be embraced by softness and luxury at the end of a long day, you’re in for a treat. Whether you’re looking for bright colors, or a more conservative style, Natori bedding has it all, in top quality and made from the best materials available. The comforters and duvets have a first-class finish, the sheets are super soft, and the pillows and shams complement the decor in matching designs or contrasting colors. Take a look at these beautiful comforters, duvets and bedspreads, and imagine what they will look like on your bed! The color combination and print design in this comforter set are just stunning! It’s the perfect ‘encounter’ of cute meets sophisticated! This gorgeous cheery blossom comforter set is made from 100% cotton and includes the beautiful shams and bed skirt! It’s available in queen and king sizes. Another stunning Natori duvet cover for your bedroom! A beautiful palette of black and white with earth tones! A truly majestic collection to transform your bedroom into a sophisticated retreat! Timeless elegance in this soft-toned cotton and silk duvet cover. Inspired by antique silk embroidery with exotic flora in a scenic layout. Brings an aura of peace and tranquility to your bedroom and pampers your sleep! Such a tranquil and restful atmosphere in pearl and gold for your bedroom! This Natori dragon jacquard pattern and lotus duvet covet cover is beyond beautiful, peaceful and soft! The soft colors are perfect for inducing a peaceful state of mind to help you drift off to sleep! A beautiful purple and white duvet cover in a Suzani pattern for a mysterious look and feel. Made of 100% cotton, it is extremely very soft! Perfect to create an elegant bedroom! Beautiful year-round accent for your bedroom and a soft and comfortable feel that wraps you in luxury, Natori style. 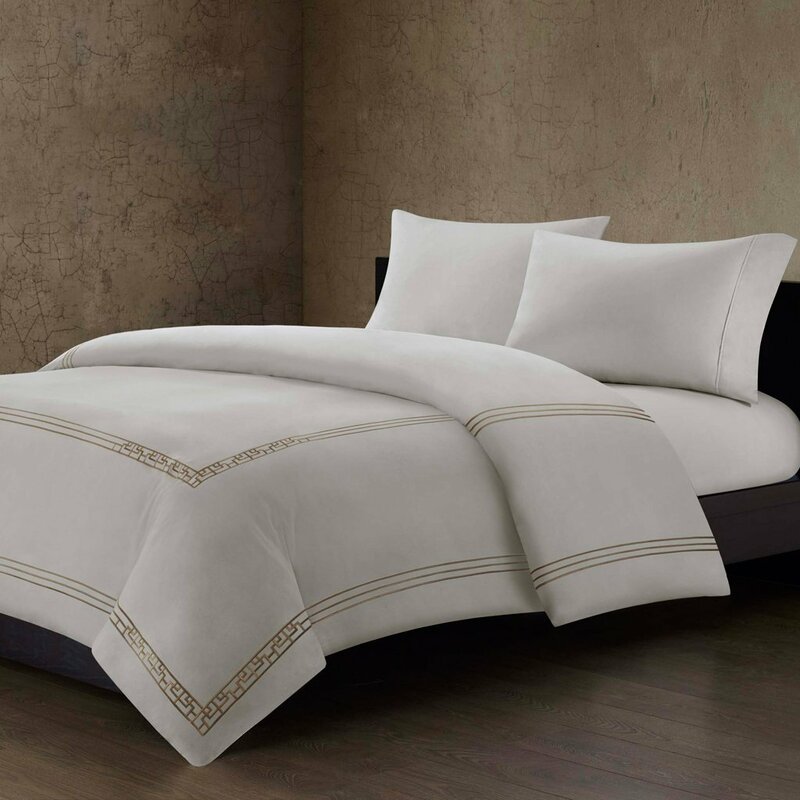 This elegant Natori white with champagne duvet cover will make your bedroom look heavenly! White is the ultimate peaceful color and this 100% cotton king-size duvet cover will make you feel like you are sleeping inside a cloud! Another gorgeous and very elegant Natori comforter set in silver/gray, white and beige colors! I love this modern and very beautiful geometric inspired pattern! If you love Japanese-style bedding sets and patterns, then you are going to love this magnificent king size silk Natori coverlet! It is ultra-soft and smooth! A happy buyer said it is absolutely perfect for anyone fascinated by Asian style decor and bedrooms! It is soft, elegant and very luxurious!